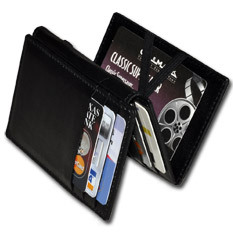 The Magic Wallet Plus takes on all characteristics of the Original Magic Wallet except that it is thicker to handle many more credit cards. 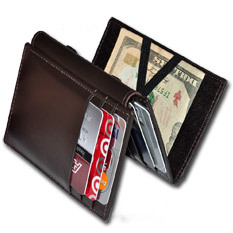 It comes in a dark brown or black durable leather. You can choose one with or without an ID window. We use durable elastic straps for the magic wallet contraption.